Everyone dies in Dark Souls. A lot. The same can be said about many games. Killing your onscreen avatar is how most titles depict failure or punish poor performance. From Mario to Master Chief, we're familiar with the concept. Learn from your mistakes, respawn, and do better the next time, right? Then why is dying in Dark Souls so horrible? Sure, you drop all of your currency/experience points in a bloodstain at the location of your death. Yes, this soul drenched stain disappears forever if you're killed before you reclaim it. Yep, all the non-boss enemies respawn, too. You get used to it. You soon realize that recovering lost souls and humanity isn't that difficult. Sometimes it's not even that important. So again, why is death so horrible in Dark Souls? Maybe this video will help you understand. Spoiler Alert! There's some juicy boss footage. Oh, that's right! Each new encounter is a perfect nightmare scenario playing off our fears of death, paralysis, giant monsters, and child-like helplessness. When you first encounter an enormous, horrifying enemy that you can't figure out how to hurt, you're too slow to dodge, and it one-shots you through your shield, you'll understand. Hell, I basically just described the Dark Souls tutorial. Dark Souls is out now for the Xbox 360 and Playstation 3. It supports three player online co-op. For more on Dark Souls check out our Co-Op Review. For everything you want to know about the game's non-traditional co-op system, check out our Dark Souls Co-Op FAQ. 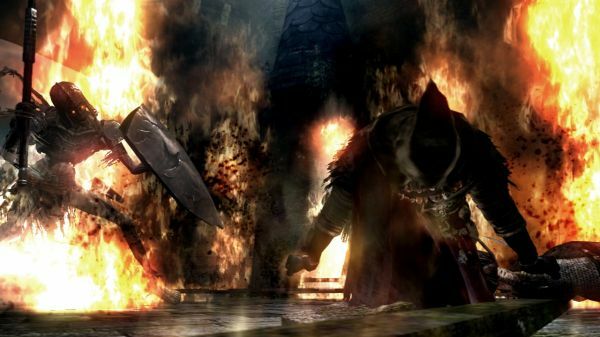 Dark Souls Will Have More Co-op "Variations"